David Lynch Sensei has had a long and remarkable career in aikido—55 years and counting. 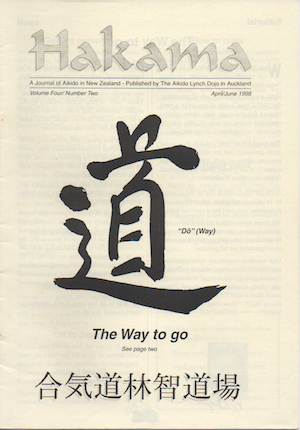 He’s also an accomplished writer and he has given me permission to reprint some of his editorials from the magazine Hakama, which he published for the aikido community in New Zealand between 1995 and 2005. On reading them it struck me how little issues in training change from generation to generation. Here’s one from April–June 2000. 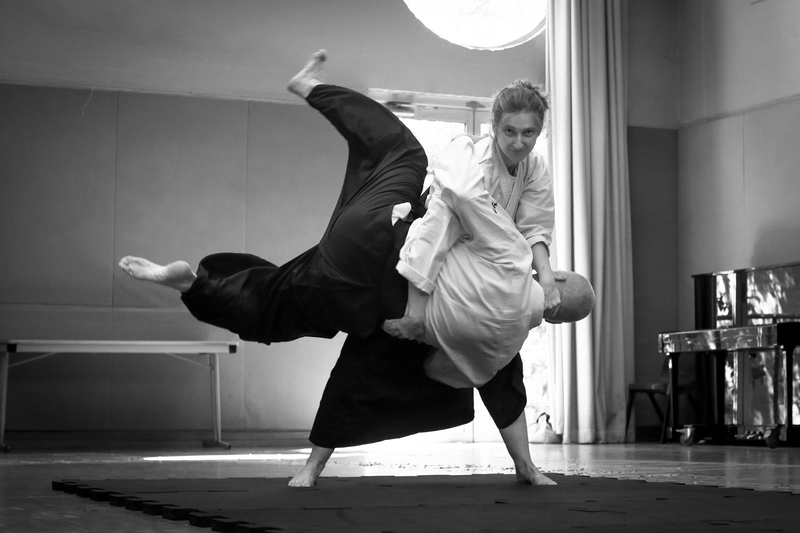 Why are people in a hurry to learn aikido? It seems to me that most of the problems that trainees encounter are actually created by this urge to get to the end in a hurry, even though it should be clear that nothing as complex as aikido can be learned in a short time. If you’re in a hurry, the amount of time spent on the mat seems disproportionate to the results achieved in terms, for instance, of your ability to apply techniques effectively. A judo instructor I knew used to berate his students for lack of application to training and say that if he had spent as much time studying medicine as he had doing judo, he could have been a brain surgeon. Actually he was the last person I would trust to poke around inside my head, but he did have a point. It is a point many seem to wish was not true: that nothing can be achieved without practise, practise, practise. If anything, aikido is more complicated than judo and requires even more time to understand in any depth. For that matter I don’t know of any Japanese martial art designed to be learned in a short time. It is when we refuse to face this fact that the problems arise. For instance, when you compare aikido with a typical self-defence course, varying in length from a few minutes (I learned a good sequence of moves that can be taught in 10 minutes) to a few days, the discrepancy is huge. And when someone asks how long it will take them to learn aikido, how do we respond without fudging the answer? The temptation is to ask the applicant how long it would take if they didn’t start? Or how long they thought it would take them to become a ballet dancer? When they had mastered aikido would they then stop practising and take on something else—like a course in brain-surgery? I don’t mean to ridicule beginners’ concerns but I do think that those of us who know better should not shy away from the reality. Aikido is simply not something that can be measured in that way and one seriously wonders whether any worthwhile discipline can. About all you can say after you have trained for ten days or ten years is that it took you ten days or ten years to learn what you have learned. If there is a quicker way it has eluded me for nearly 40 years.